Erzullie Fierce Plus Size Fashion Philippines: PLUS SIZE FASHION: THIN VS. THICK BELTS --- WHICH ONE TO GO FOR? 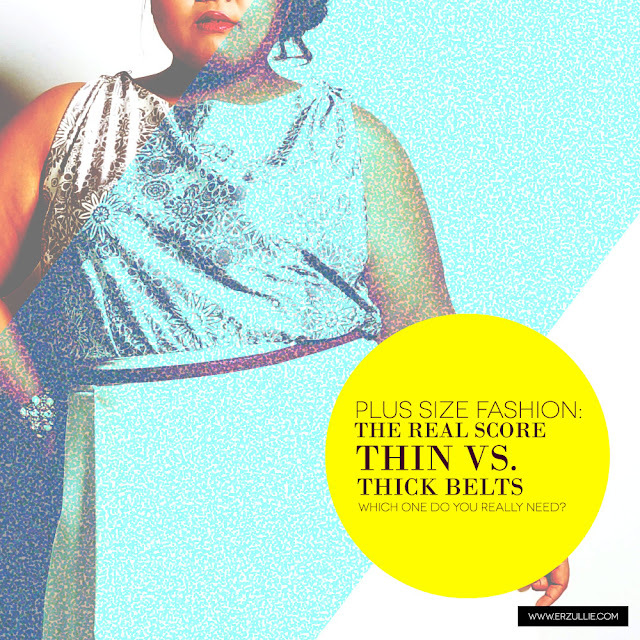 PLUS SIZE FASHION: THIN VS. THICK BELTS --- WHICH ONE TO GO FOR? Belts are an Erzulliesta’s best friend (aside from her other Erzulliesta sisters). In fact, I can even go on to say that any woman should be able to master this accessory. It’s no longer just about keeping our pants up. It’s also now used to create some amazing visual illusions to the body. But which one should we go for? Thin or thick? First off, I want to acknowledge that there is also a “medium” sized belt. The one between the thin or thick. These would be the ones that is already as thick as your thumb in terms of height. Anything below that or higher than that is no longer regular. So around 2 inches would be the measurement. This type of belt is actually great for actual function of keeping any bottoms up as usually this is the size of the “belt holders” in the bottoms. So if you are looking for some functionality, pick this one. Thin ones are too flimsy and thick ones just won’t fit. Next, Thin belts! Anything beneath 2 inches is already considered as a thin belt. If you are looking for instant definition of your north and southern borders, then go for the thin belt. The great thing about this little number is that you can actually “pile them on” to create a whole new look. Think of them as bangles but for your waist. You can even connect them from one end to another to give you that edgy rustic look as you wrap it around your body. Place the belt at your natural waist line (the smallest part of your torso). If you can’t find it, chances are you are wearing the wrong bra, as it is not providing you the proper lift. Get one that lifts your twins up to stretch your torso and finally reveal to you your long lost (and sometimes ignored) waist line. Finally, THICK BELTS. Anything beyond 2 inches is already considered as a thick belt. If you are looking for support and torso elongation, then this should be your baby. Thick belts usually have a garter option (at least that is the current trend). Choose one that gives you great support for your belly and reveals the curvature of your waistline, emphasizing your breasts and hips. Instant hour glass figure! Now, a tip about these belts. When the closure is at the back, chances are it provides more support to the tummy. If the closure is at the front, the flap may bulk up in front and thus, not provide as much support.